A penny saved is a penny earned. We are hoping to save you more than a few pennies! These promotions are designed for the business or home that is implementing VoIP for themselves. 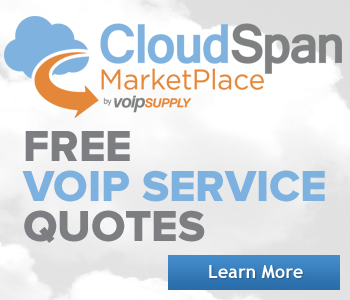 We have deals for VoIP Service and VoIP Hardware from a multitude of different vendors. To help you find a quick phone-and-headset solution to get started with VoIP, we are introducing small solution bundles! These bundles come with our top popular IP phones with compatible headsets and cords. Grab your small solution bundle and start communicating in no time! Buy 5 of the same IP phone and receive a discount on a conference phone! Call 1-800-398-8647 today to place your order! *Must call in to receive the discount. Enjoy free shipping on all headsets and headset accessories! Ground, continental US orders only. Headset accessory includes headset adapters, QD cables, EHS cables, headset audio processors, headset batteries, etc. For a limited time, you can protect your investments with 2 years of Polycom Premier Services Support for only $145.00. But that's not all. The $145.00 does not just cover support, it also includes one refresh phone upgrade for an eligible native Microsoft Teams compatible phone. How to take advantage of this promotion? Call us at 1-800-398-8647. Your sales consultant will be able to explain all the details of the promotion. You will need to order (1) upgrade SKU per each VVX phone ordered. Call us now at 1-800-398-8647 to place your order and take advantage of this special offer! What are the eligible Polycom VVX phones? 5% Discount on your order! Are you a government agency? Do you work at a school or an educational organization? Perhaps you are a non-profit organization? If yes, you are eligible to receive a 5% discount on your order of Digium products and services. Digium phones not included. Limited restrictions apply. 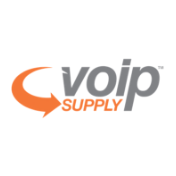 Must place the order through one of our dedicated VoIP Consultants. Must provide ID as proof of valid organization. 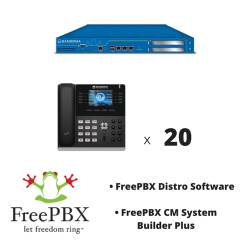 Get a free D60 IP Phone with full-color display for each new seat purchased on a 3-year Switchvox Cloud unlimited service contract. Offer available for new customers, and existing customers who add a seat to an existing 3-year contract, or are upgrading to a 3-year contract. 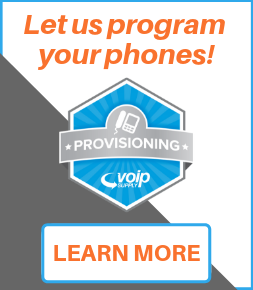 Must place order through one of our dedicated VoIP Consultants. 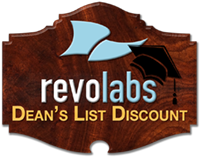 Revolabs Dean's List Education Discount Program lets educational organizations enhance the student learning experience with Revolabs’ award-winning collaboration technologies at reduced pricing. Available to all U.S. Europe, Australia, and New Zealand-based educational institutions, the initiative allows students and educators to benefit from an additional 10% instant discount at the time of purchase for any qualifying Revolabs product order. To take advantage of this offer, by calling us today to register at 1-800-398-8647. When purchasing any Savi 700 Series or CS500 Series headset combined with a Polycom VVX 311, VVX 411 or VVX 501, you'll receive the value of a Plantronics APP-51 EHS cable. That is a value of $79.00. Call us today to place your order and receive your FREE EHS cable- 1-800-398-8647. Offer ends February 28, 2019. Experience the latest technology for Polycom. Replace your old desk phones and take advantage of awesome rebates! Rebate amounts valid from January 1 through June 30, 2019 when you replace 5 or more phones. Enjoy untethered calls with Polycom VVX functionality and quality. Polycom® SoundStation® IP 5000, IP 6000 and RealPresence Trio conference phones. Add Polycom VVX Cameras to the VVX 500 or VVX 600 phones and bring video to the desktop for additional rebates. All Polycom SoundPoint IP phones, SoundStation Conference phones, Polycom CX500, CX600 and CX3000 phones qualify for this offer. All Polycom equipment must have been purchased over one year ago to be eligible for trade-in. Update your technology with Polycom phones and get paid to do so! Call us at 1-800-398-8647 to claim your rebates! CHECK OUT THE REBATE AMOUNTS! 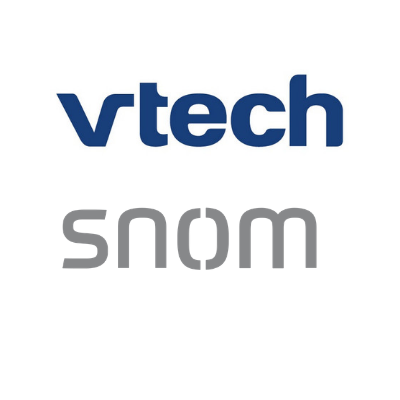 Purchase a Snom D785 Deskset or a Snom D735 Deskset and pair it with a VH621 headset or a VH621 headset and get a VU-060 DECT dongle free of charge! Buy 25 Jabra Evolve 65 or Jabra Evolve 75 headsets and get a NEW Jabra Evolve 65t headset for FREE! Purchase at least 25 of the Jabra 65 or 75 Series headsets on a single PO before June 30th and submit your invoice through an easy claim process and you will receive the free Jabra Evolve 65t in the mail within 2 weeks! It's that easy! Call us now for help placing your order and submitting your receipt- 1-800-398-8647. Buy 8 Jabra Evolve 65 or Jabra Evolve 75 headsets and get a NEW Jabra Evolve 65t headset for FREE! Purchase at least 8 of the Jabra 65 or 75 Series headsets on a single PO before June 30th and submit your invoice through an easy claim process and you will receive the free Jabra Evolve 65t in the mail within 2 weeks! Upgrade your communications experience with industry-leading headset and speaker solutions and get paid to do so! It's that easy! Call us now for help placing your order and claiming your rebate!- 1-800-398-8647.